Egyptian President Abdel Fattah Al-Sisi approved on Sunday night a new anti-terrorism law. The new law, which came weeks after President Sisi vowed harsher laws following the assassination of Egypt’s Prosecutor General Hisham Barakat, sets up new special courts and outlines tough measures against ‘terrorist activity’. Below are 10 main points you should know about the new law. In cases of police and military violence, the law gives greater legal leeway for when this is seen to be part of their duty of defeating insurgencies. The law also allows any case falling under this bracket to be fast-tracked through special courts. It remains unclear whether time would be given for a group deemed to be a ‘terrorist group’ to disband before its members are arrested or charged with leading or establishing a terrorist group. With the Muslim Brotherhood deemed a terrorist group in Egypt, this law may be applicable to its members. Since the ouster of former President Mohammed Morsi, Egypt’s authorities have seized dozens of charities, non-governmental organisations, businesses and more that have been accused of funding the group. The exact definition of ‘inciting violence’ remains unclear. Some analysts have suggested this may cover calling for a demonstration. Others indicate this is aimed towards those that call for the targeting of security forces, infrastructure and other general acts of incitement, particularly those conducted by ISIS on Twitter. This was initially a two-year prison sentence, but following controversy, this measure was replaced by a fine. This particular clause caused concern amongst many journalists who fear that this could present an obstacle to them carrying out their professional work. Amnesty International expressed concern that the legislation compromises freedom of expression and rights of peaceful assembly and association. The group also criticized the definition of terrorism under the law as excessively broad. Meanwhile, the US State Department warned the new law may amount to further human rights violations, but nevertheless expressed support for Egypt’s security and stability. 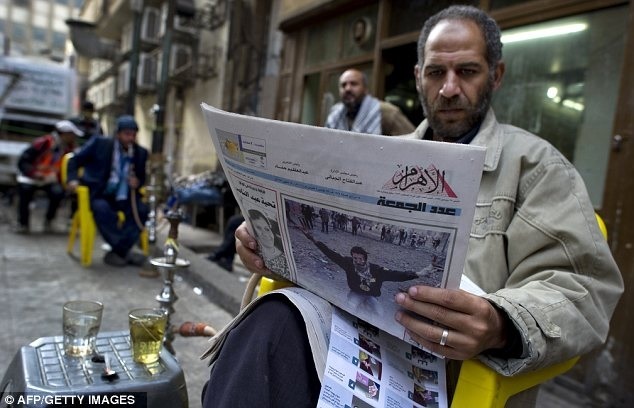 The Journalists Syndicate believes the new law still unfairly targets journalists. Many argue that, while there is no longer the risk of imprisonment, a large fine for contradicting official accounts of militant attacks is too high of a burden on many of Egypt’s journalists.